My Father received an Order of Australia many years back, the pin of which he wore on his jacket at many prestigious functions for years with some pride. It acknowledged the many years he had given to his particular community in this country … Australia that is. Although he is gone, I see it in Dad’s cupboard whenever I stay at our family home with Mum. It is a memory of our country’s acknowledgement to the man who was my Father and for what he contributed to us as Australians. It is something I can speak of with some pride in my Father’s accomplishment. The Order of Australia was not then given lightly and as such should command some respect for the individuals in Australia who have earned it. 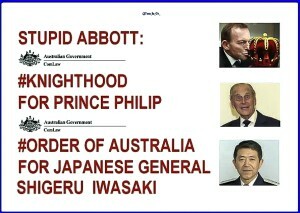 Order of Australia or Japan? Is this some silly satire? If not, when did this occur (because I had not been aware of any recent announcements)? In fact, there was never a mention of it in any of the Mainstream Media. 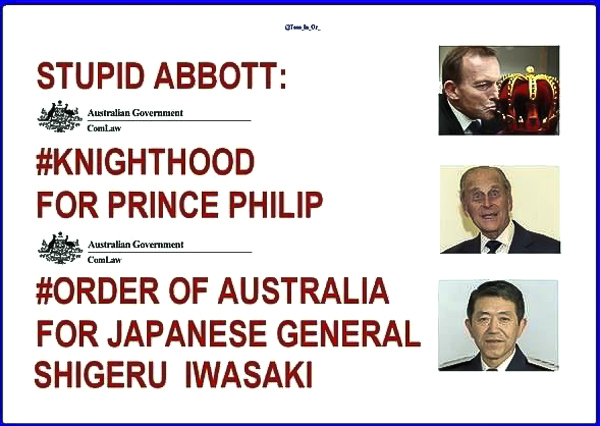 Besides, I assumed, surely Abbott could not be so stupid as to repeat the Prince Phillip fiasco? Also, he took flack after praising the Japanese for their honourable efforts in WWII! So with these two events behind him surely Abbott, nor anyone in the LNP, would undertake to pronounce awards of an OAM to a Japanese General, when there are plenty of Australian Soldiers or Officers who have served Australia with honour and in recent years. 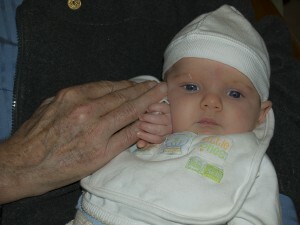 I reasoned it had to be a fake accusation. People I had spoken to said they never heard of it. So I sought answers. Friday the 27th March 2015. Here’s the proof in the link below and … I have no further words I can say…………!